Americans for Peace Now's new, one-of-a-kind settlements map app will be officially launched on November 13th! Facts on the Ground is the only interactive map that gives anyone with an iPhone or Android phone instant to access comprehensive, up-to-date information, statistics, and analysis on Israeli settlements in the West Bank. Even as we prepare to launch Facts on the Ground, APN is working to make it even better. We're developing more videos, interactive features, and enhanced functionality that will let users further explore and understand West Bank settlements. But we rely on the generosity of supporters like you to make Facts on the Ground possible. Your support will help put this invaluable tool in the hands of all those working to preserve the possibility of a two-state solution to the Israeli-Palestinian conflict. Help inform and educate the world about West Bank settlements. Support APN's Facts on the Ground today. 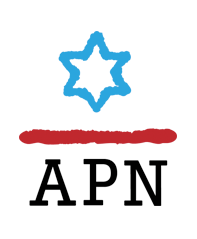 There will be no "restraint"
Support APN's new settlements app and help "win the peace"